How Can Seniors Stay Strong? SilverSneakers! The sun hadn’t come up quite yet, and the weather was cold and dreary. The train car was filled with early morning commuters who were bundled up and, for the most part, distracted by their cell phones or sleeping. I noticed a delightfully spry elderly man board the train, dressed in a colorful track suit. Most of the commuters paid no attention to him, but then he proceeded to do jumping jacks the entire 12-minute ride into Center City! I realized he wasn’t performing a stunt to entertain commuters but rather a serious exercise endeavor. You can be sure that I took the stairs from the train platform after that conversation, eschewing the escalator. In fact, he really put a fire under me. A few days later, I joined the gym in my workplace — something I never took advantage of even though it was free. 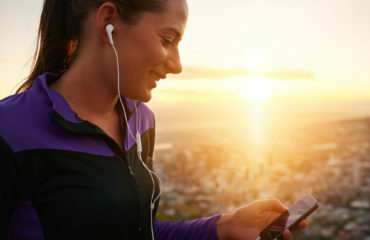 Exercise is something we all know we need to do, but it’s so easy to make excuses to skip it. Now I’m not saying you need to start riding SEPTA and fanatically working out in front of strangers. But it is a humorous reminder that we can exercise practically anywhere. SilverSneakers is a fitness benefit that we include free with our Medicare Advantage plans. 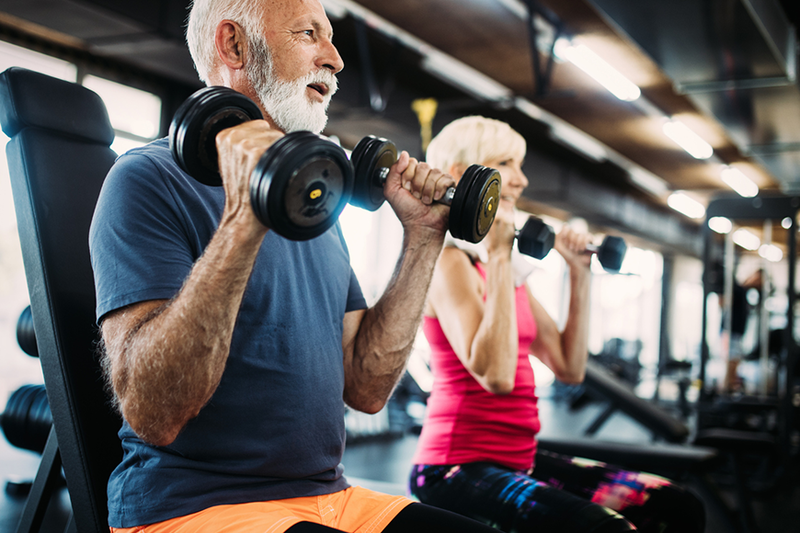 While 90 percent of SilverSneakers members report feeling better since using their benefit, only about 30 percent of Independence Blue Cross Medicare Advantage members are taking advantage of this FREE gym membership. SilverSneakers helps millions of people gain muscle strength, improve balance, increase range of motion, and lead healthier lives. In fact, nearly all SilverSneakers participants (93 percent) report their health as excellent, very good, or good. In addition, 65 percent of participants say they have made new and valuable friendships through the program, so the program has impacted their social well-being too. Everyone Can Do Something — Get Started Today! Maintaining your muscle strength, balance, and mobility is one of the most important things you can do to keep your independence, wherever you live. But are you one of many seniors who think they’re too old, tired, sick, or out-of-shape to exercise? Don’t buy into that myth! You can ask any geriatrician (a doctor who specializes in senior care) — you are almost never too old to exercise. If you’re an Independence Medicare Advantage member, getting started with SilverSneakers is quick and easy! Simply go online to the SilverSneakers website or call 1-888-423-4632 (TTY: 711), Monday through Friday, 8 a.m. to 8 p.m. You’ll get a SilverSneakers ID number assigned to you, and then you’ll be ready to find participating locations near you. It’s that simple — you can even get started today! I joined Independence Blue Cross in 2015 after practicing Geriatrics for nearly 30 years. In my current role I function as the medical liaison to our Government markets team, serving as a subject matter expert on clinical medicine and healthcare delivery. What I love about my new position is the opportunity to help an entire population of people through the benefits of their health plan.